I have been an avid reader all of my life, therefore, when I had children I began reading to them very early, before they were born actually. This continued until their reading ability eclipsed my own. When Rose was born, she proved herself to be the “communicator” in the family very quickly, speaking in complete sentences with perfect diction. Well – she was NOT going to be left out of the reading crowd! This presented a problem for me because, not having a lap large enough for three children, this meant that Rachael, the oldest, had to stand by the chair at story time. 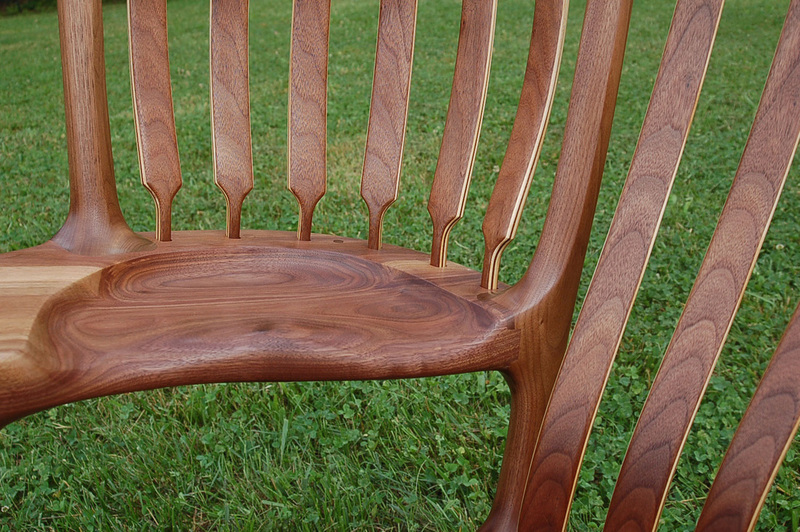 I felt this was not at all fair and thought, “Well, I make rocking chairs, I can figure this thing out!” And, I did. 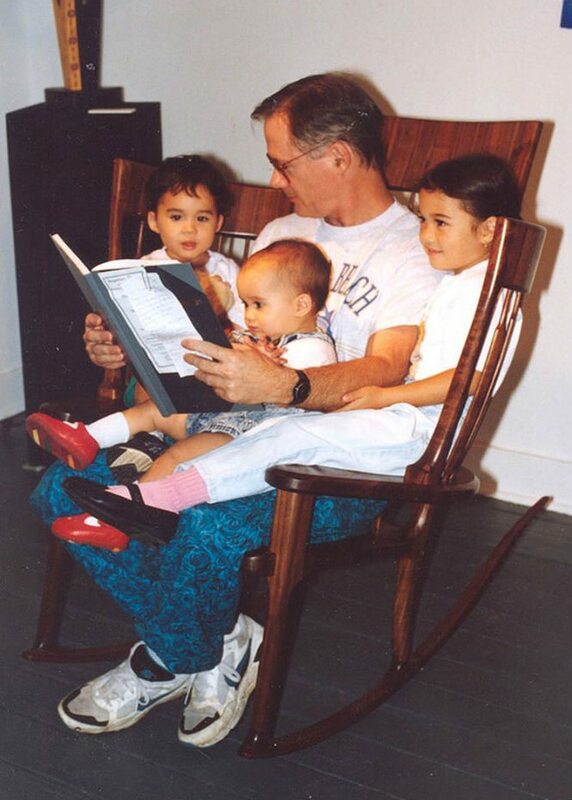 The StoryTime Rocking Chair is the proof. Now, all three children could have a comfortable seat when reading. I have heard it said that children change your life more than you change theirs’ I believe that to be true. 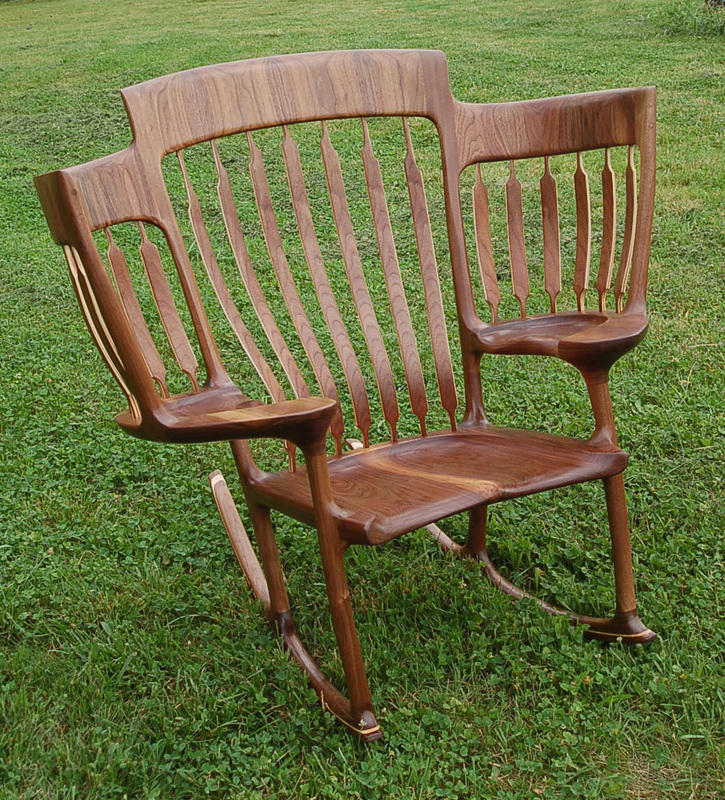 The StoryTime Rocker sells for $7,000 to $7,500 dollars and like my other rocking chairs I make it to fit perfectly. If you are interested in owning one of my StoryTime Rockers just drop me a note. WHY DOES IT COST SO MUCH! 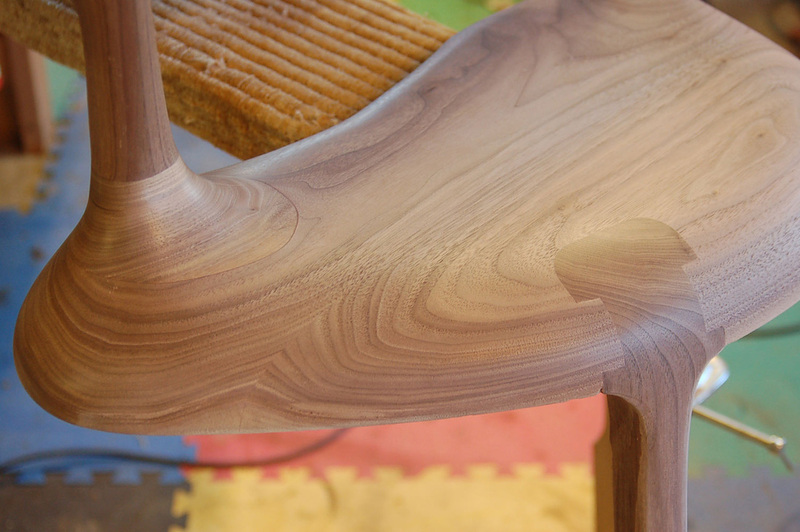 Every piece of wood in the chair is carefully matched! 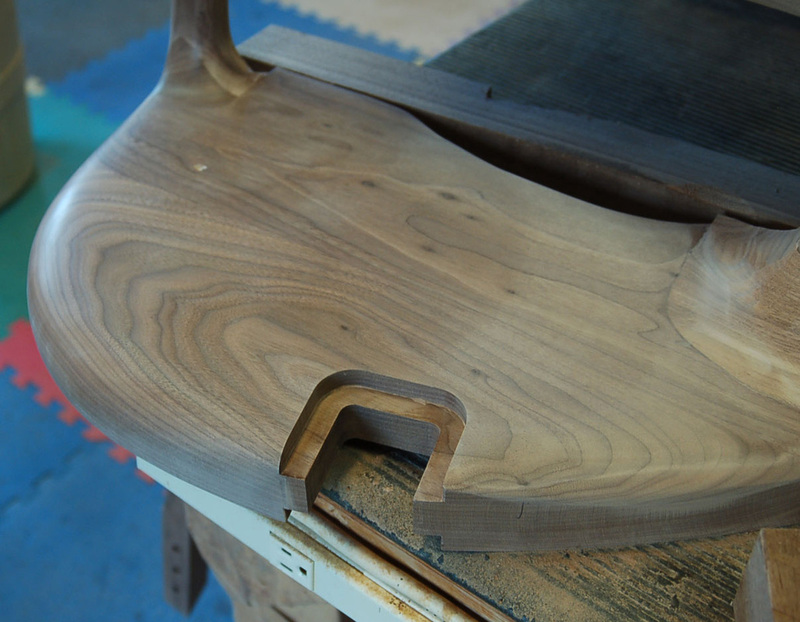 The seat is bilaterally symmetrical as you can see from this photo, The joint is perfect because it is hand planed, which takes time. 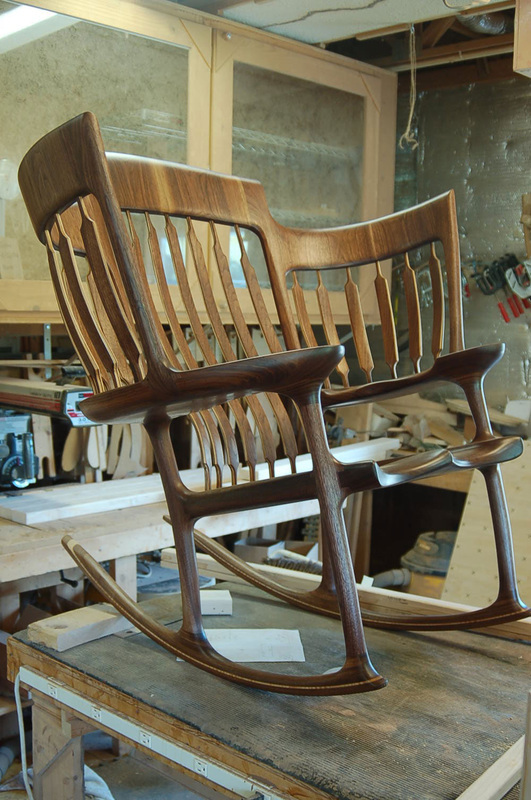 The joints in this chair, there are six just like this, are quite complex and it takes time to make them perfectly. No chair leaves my shop without perfect joints as you can see below! This is the finished joint from the photo preceding. 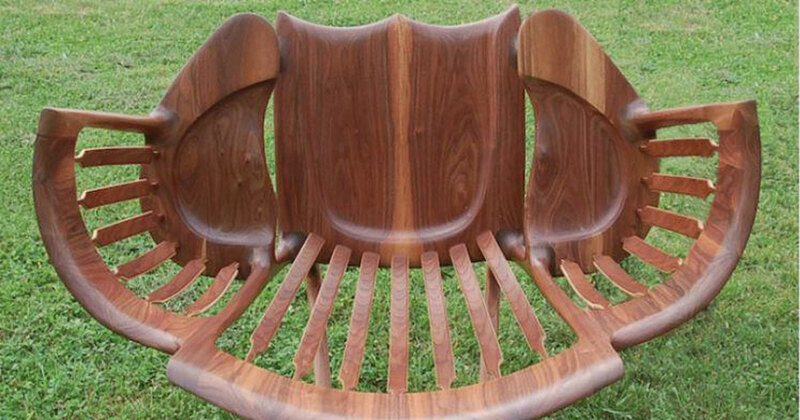 If you take a close look at the back braces you will see that they are made out of multiple strips of wood. There are over 200 precisely cut and shaped pieces of wood which I use to make up the 19 back braces! That is more pieces than you will find in 20 normal rocking chairs and this is JUST FOR THE BACK BRACES! As you can see in this photo all of the back braces match, looking like twins. I accomplish this by cutting the back braces sequentially from the same carefully selected board. Every board in the chair is matched to the one next to it. In order to fabricate the three headrests I have to cut 18 separate 5″ by 8″ billets, cooper the edges (like a barrel) plane the edges by hand and glue them up two at a time. This is how I am able to achieve the amount of curvature in the headrests. If I made a chair like other folks all of the back braces would be straight! 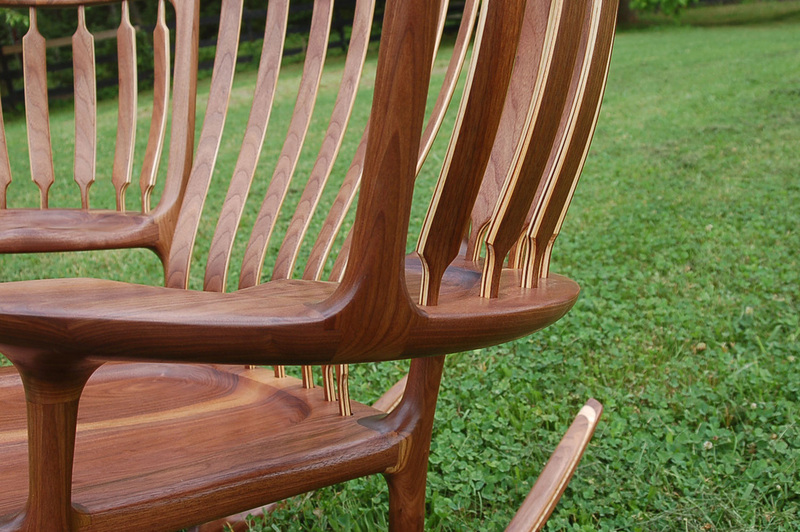 In order to fabricate one of these chairs I have to cut 262 separate pieces of wood. You can see from this photo how the headrest grain matches, the back braces match and so on. 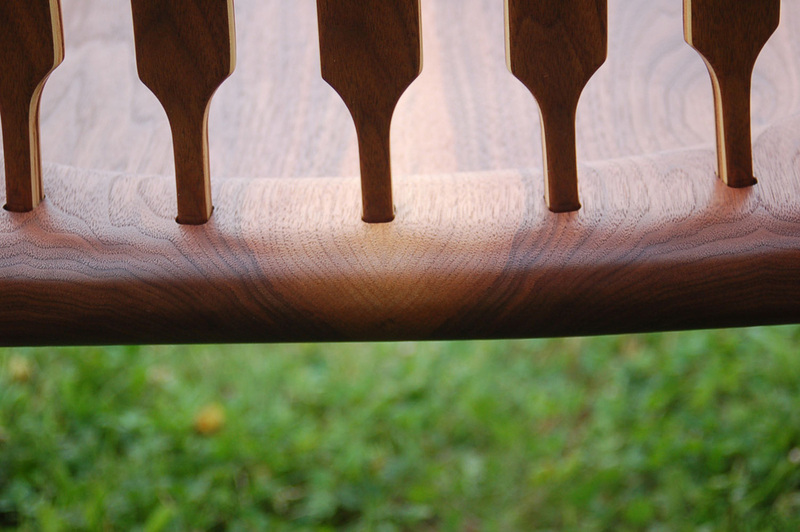 There are 27 pieces of wood in each rocker (the parts that touch the floor) which also match perfectly! My regular rockers (non StoryTime) sell for five to six thousand dollars. Looking at that price, it makes the StoryTime, which is almost twice the work, look like a bargain. I have been making rockers since 1992, about 24 years as of this writing. Is it a lot of money – YES but ask yourself this question. “Of all of the things I have spent money on in the last 20 years, how many of them will ever be used by my great grandchildren?? This chair will! 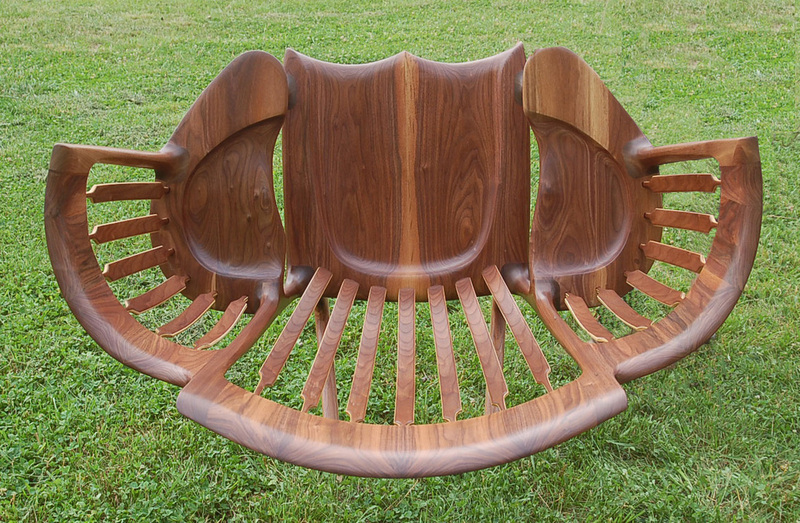 Please SHARE this nifty rocking chair with your friends and family.